Where to buy Viranox lip salve? You are here: Home / Where to buy Viranox lip salve? Looking for where to buy Viranox lip salve from LipMeds.com? We did a thorough search on where to buy Viranox lip salve but to no avail. While we’ve seen several search requests for Viranox lip salve offered by the now defunct lipmeds.com, we were unable to find a viable source for Viranox. Sadly, it appears Viranox lip salve is no longer on the market. But wait! Do you have a cold outbreak and are searching for an alternative replacement for Viranox? Consider the Cold Sore Inhibitor to help stop your cold sores in their tracks. The Cold Sore Inhibitor is a fast and effective way to prevent cold sores from ever appearing. More information on the Cold Sore Inhibitor can be found on our Stop Cold Sores info page. Please contact us if you find any more details on Viranox lip salve. We’re curious to hear what happened and how Viranox lip salve worked for you. With as much traffic that has come from the search results, it looks Viranox lip salve was a great solution for many consumers. While it’s no longer possible to attest to to the effectiveness of Viranox, you can compare other cold sore outbreak options on our popular cold sore solutions comparison chart. You will see note that the Viral Inhibitor and the Cold Sore Inhibitor can be pennies on the dollar compared to popular prescription medicine treatments. We hope you’ll find our guide effective for you to make a decision on what cold sore relief works the best for you. *The Viranox name and logo are property of the owner’s of Viranox and are not associated with Stop Cold Sores or NSM Worldwide. 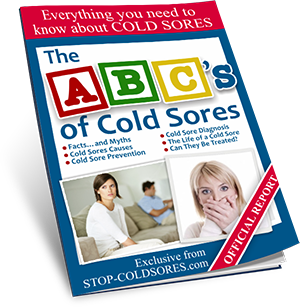 "The ABC's of Cold Sores"
Cold sore facts and myths, causes, diagnosis, treatment, prevention and much more.. Receive cold sore prevention tips? Yes! I would like to receive tips on how to prevent cold sore outbreaks.